Six Sigma is a proven systematic approach to improve measurable results for any organization. Lean is a process to identify and eliminate sources of waste and activities that do not add value to create maximum productivity. The Lean Six Sigma Green and Black Belt training takes organizations to the next level by uniting product and process excellence with goals such as improving customer service and/or enhancing shareholder value creation. Leaders in today's organizations are turning to the Lean Six Sigma Green and Black Belt training to ensure their competitive edge, improve service and build the skill base needed to sustain performance improvement. 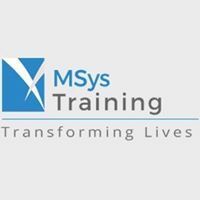 Visit www.msystraining.com, call 408-878-3078 or scroll down for future dates. Click here to CHAT with one of our Learning Consultant. Execute better: Lean Six Sigma links strategic plans to operational improvements to create efficiencies for your business. Build customer loyalty: Lean Six Sigma helps you target your customer needs so you can improve the things that matter most to your customers. Create greater returns by lowering operating costs and delivering products and services quicker and with higher customer satisfaction through operational excellence. This program is designed for those who are responsible for, or are looking to contribute to, high impact projects by incorporating Lean Six Sigma methodology. Panel of globally acclaimed instructors with over 15 years of LSS experience. Define: Clearly, articulate the current state. Measure: Establish the magnitude of the problem. Analyze: Systematically establish the reasons for the problem. Improve: Determine and refine your solutions. Control: Put the right controls in to sustain the gains. For individual or corporate training inquiries please contact U2FyYSAhIHBhdG9mZiB8IE1TeXN0cmFpbmluZyAhIGNvbQ== or call us at 408-878-3078.